Is Australia Day too tainted a concept for brands to be associating with? How important is taking a stance on the nation’s increasingly controversial day of national celebration in light of the wider need and desire for brands to take a purpose-led approach? And should more of our iconic local brands be taking a position on Australian identity? These were the questions CMO set out to find answers to in the lead-up to the Australia Day long weekend. The prompt was the launch this week of Meat & Livestock Australia’s (MLA) latest summer campaign. This builds on the new brand platform ‘share the lamb’ and calls on Australians to come together with their trans-Tasman counterparts over a hearty dose of lamb via a party in the middle of the Tasman sea. While the campaign is clearly driven by the idea of unity, it’s the second year MLA has chosen not to launch a campaign on Australia Day. And it’s move that follows increased criticism of celebrating Australia Day for its link to early British settlement and the mistreatment of the original indigenous peoples of this country. It’s also another example in the growing debate on what role brands should and do play in societal debate and change. There’s no doubt for The Royals, managing partner, Dan Beaumont, that Australia Day has become a highly charged, politicised and therefore polarising debate. He noted Aldi and Big W’s ‘inflammatory’ shirts, AussieBum’s ill-conceived ad and Woolworths’ geographically challenged hats, as examples in recent years of brands getting into hot water from activities connecting to the cultural concept. It’s these growing fears of backlash Beaumont believes led several brands to step back, and he noted department stores, telcos and banks as noticeably absent. Of course, not all brands are taking a step back from Australia Day. Woolworths, for instance, will be celebrating Australia Day through ongoing sponsorship of the Young Australian of the Year, as well as its catalogue and wider ABL summer campaign. According to Beaumont, brands historically striving to tap into national pride associated with Australia Day have used one of three main themes. The first is playing with Australian clichés. An example is Qantas’ team-up with Arnott’s Tim Tams, Vegemite and Cadbury Dairy Milk to create ‘emergency packs’ of famous Australian products. The second is supporting Australian people and values, while the third is celebrating the country’s multiculturalism. It was arguably the latter two approaches MLA has harnessed for strong impact through tactics such as ‘You Never Lamb Alone’ and ‘Lamb Side Story’. In 2017, online fashion brand, Moga, also celebrated Australia’s diversity with an Australia Day-timed campaign. According to DPR&CO agency principal, Phil Huzzard, Australia Day has become almost as polarising as the #metoo movement. “As with other contentious issues, Australians’ views are strongly held and deeply personal. It is therefore incredible to suggest everyone who is part of a brand would be behind a specific view held by, for example, the c-suite executive,” he said. “So, to suggest a brand -and by definition the people that comprise it - are behind a singular view invites immediate cynicism. In contrast, Review Partners managing director, Paul Costantoura, believed advertisers should have the courage to be proud about Australia Day. What he saw muddying the water is longstanding confusion on how to present Australian identity in advertising. “Go back a few decades and most Australians felt we were defined either by our British origins or by the concept of ‘a multi-cultural nation’. Telstra advertising suggested ‘True Australians’ had relatives who lived in a farmhouse with big verandas and corrugated iron roofs. Everyone else made a long distance call to the folks in the village on the hill in the old country, or perhaps to central London,” he said. “Indigenous people tended not to have the recognition and respect they have today. They were largely absent from our screens, in entertainment or advertising apart from token stereotyped roles. Yet there is little doubt the extreme negative symbolism attached to Australia Day is preventing many Australians and brands from feeling like they should openly proud of all the things that make Australia great on the day, Costantoura said. “The more important question is whether it is also setting back progress on reconciliation and equality of outcomes by creating greater divisions between Indigenous and non-Indigenous Australians,” he said. “My question is whether the strong voices would be better directed at recognising the pride that Indigenous and non-Indigenous people can share in our shared cultures in Australia today. 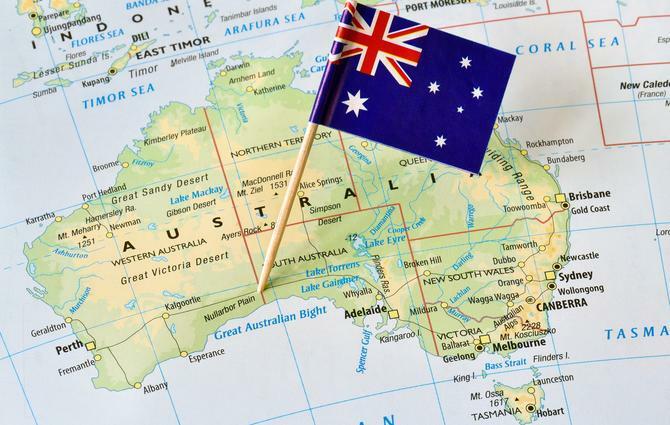 BrandHook founder and CEO, Pip Stocks, identified two reasons for why brands may be avoiding active Australia Day messaging. The first was their ability to be authentic. “Brand purpose and brand positioning is well and truly back on discussion table and if it doesn’t fit, messages just feel fake,” she said. “Secondly, brands don’t have the same level of trust as they once did. The Royal Commissions have exposed so many wrongs, brands are now being more considered about what they say and how they say it. Choosing to comment or not comment on Australia Day is particularly topical in the wider context of purpose-led campaigning and the debate for brands to increasingly support and even lead the quest for behavioural change in the societies they participate in. Outside of controversy about Australia Day and our national shores, for instance, Gillette's latest advertising campaign, which endeavours to call out toxic masculinity and challenge the traditional stereotypes of the best a man represents, has drawn both criticism and applause for espousing an opinion on an important societal issue. Another recent example was Nike’s decision to use Colin Kaepernick as the face of its latest campaign, after the polarising quarterback protested against the US national anthem. Arguably, in Australia, we can also look to local brands who took an active role in Australia’s gay marriage debate in 2018 as another example of taking a position on dominant societal issues. Beaumont noted that when brands like Nike and Gillette step into controversial and divisive topics, they do so with their intended audience in mind. “They do it knowing full well they will upset some of their customers and a lot of non-customers,” he continued. But while the most successful brands shouldn’t back down from adopting a position on big issues that are important to society as a whole, they have to do it respectfully and in a way that makes sense for their brand, Beaumont said. “It will be very interesting to see what Gillette does next now that it has weighed-in on the #metoo movement, and more broadly taken a stance on what it means to be a better man,” he said.